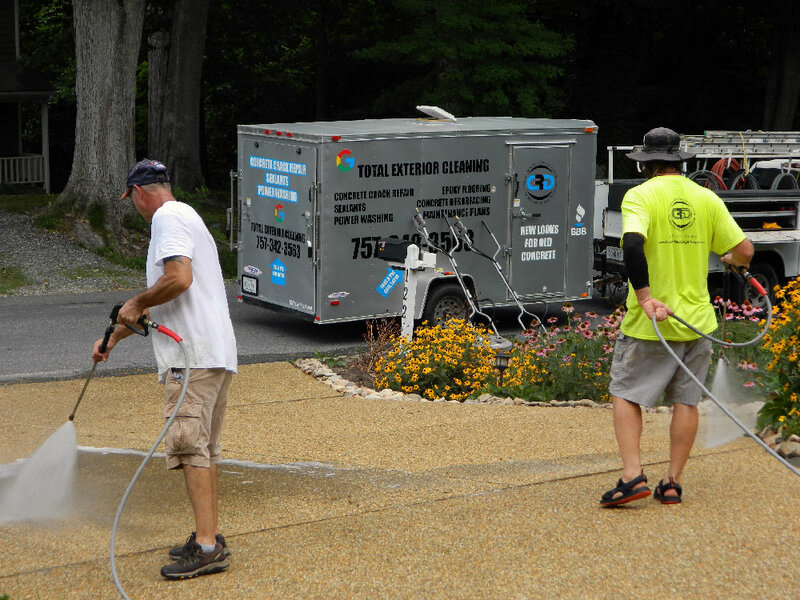 Concrete Care and Repair, serving all your concrete repair needs, has been formally known as Total Exterior Cleaning since 2003, a full service power washing company. When the recession hit many laid off construction workers who knew how to pull a cord on a power washing machine decided to become power washers themselves. This flooded the market, and while driving down prices seemed good to the consumer, it was actually a downgrade in the quality of power washing. These new businesses were not properly trained nor financially and/or insurance knowledgeable. The integrity of the industry was diminishing. The owner, of then Total Exterior Cleaning, was highly aware of the impact on his chosen profession and sought out a new and better way to provide services for his past and future clients. For years he had noticed cracked concrete driveways and decided to research and test better, more attractive ways than what he had seen over the years. Once the crack repair was perfected, the rest of driveway maintenance needs were only a matter of time. Finally, we developed as the only company to handle ALL concrete repairs.